The Director and lead consultant Stella Adagiri holds a Masters and Doctorate degree in Education and Training Management from the School of Education and Childhood Studies, University of Portsmouth. Dr Stella Adagiri works closely with a range of higher education professionals and organisations in both the UK and Nigeria. Stella has worked as a consultant on internationally-funded educational research projects and has delivered papers and facilitated workshops at University of Portsmouth Graduate School and International conferences some of which include International Professional Development Association (IPDA), UK; Forum for International Education and Training (UKFIET); UK Council for International Students Affairs (UKCISA) and Teachers Registration Council of Nigeria (TRCN). She also leads and facilitates a forum for International Educators which consists of Education stakeholders in various countries that provides a platform for Inter-collaborative learning and networking. Stella is very passionate about inter collaborative learning through shared good practices. 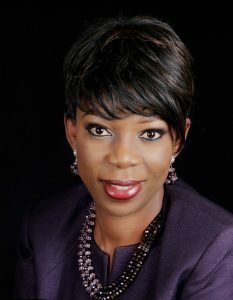 Stella is an executive member of the Board of Directors of two private schools in Nigeria.